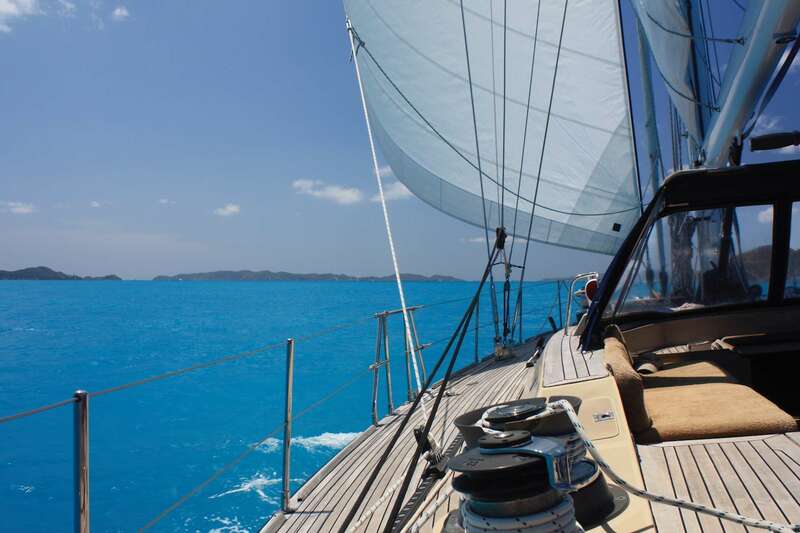 Enjoy timeless Italian luxury on a Caribbean crewed yacht charter onboard Pacific Wave while exploring the best of the BVI. 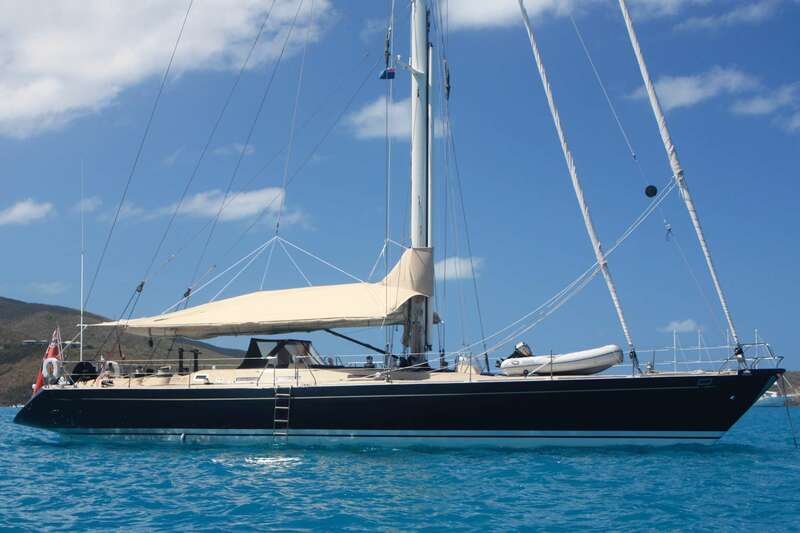 Steer a true sail boat between quiet anchorages, sunbathe on acres of the finest teak deck, dive with professionals in crystal clear waters, then dine on award winning food under the stars in our boutique hotel afloat. When Lynn and Mark welcome you onboard Pacific Wave as Owner Operators they make you feel at home immediately, taking care of you so that you can relax and really enjoy your vacation. 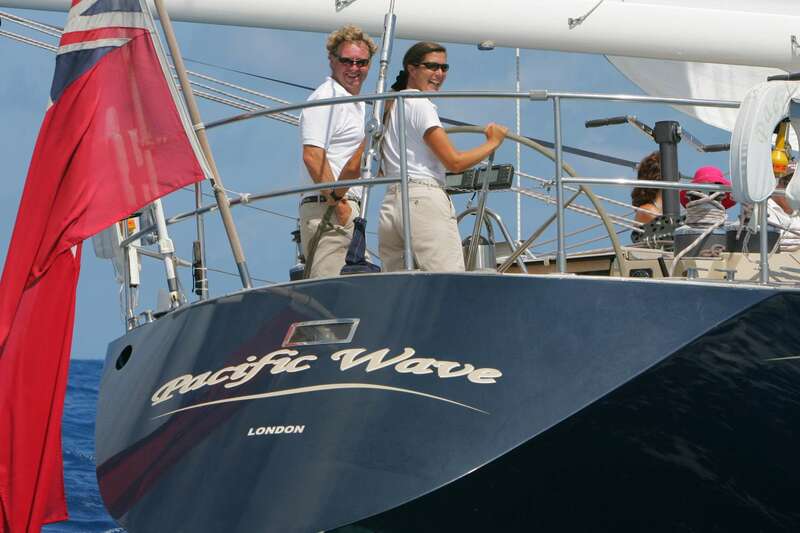 Pacific Wave is a successful blend of power and elegance, she is a stylish 72ft Italian custom built Sloop. 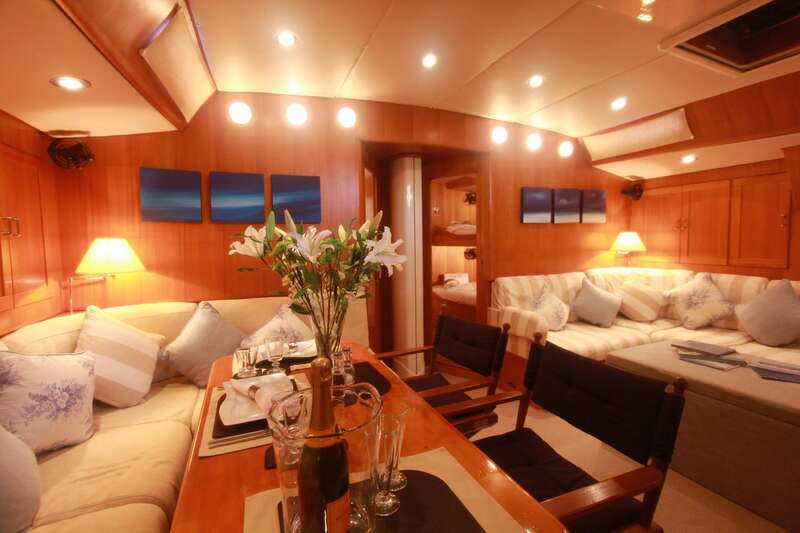 She is extremely easy to handle and she is idea for both non-sailors & sailors; she is built of Aluminium and is extremely refined, stable and safe with all lines running outside of her huge cockpit. Her on-deck and below-deck layout provides spacious comfortable living ideal for honeymooners and families; her simple but sophisticated decor is an exquisite blend of practicality and elegance that only a designer of the fame of Gae Aulenti could achieve. We also carry lots of eco-friendly watersports & fishing equipment as well. We do not fish in the BVI. Pacific Wave is fully MCA compliant with annual safety re-inspections by independant MCA approved surveyors, and is Owner Operated. Pacific Wave won 2nd place as Best Monohull at The Tortola Charter Yacht Show & Chef Mark Miles took 1st place in the Chef Competition at The St. Thomas Charter Yacht Show. 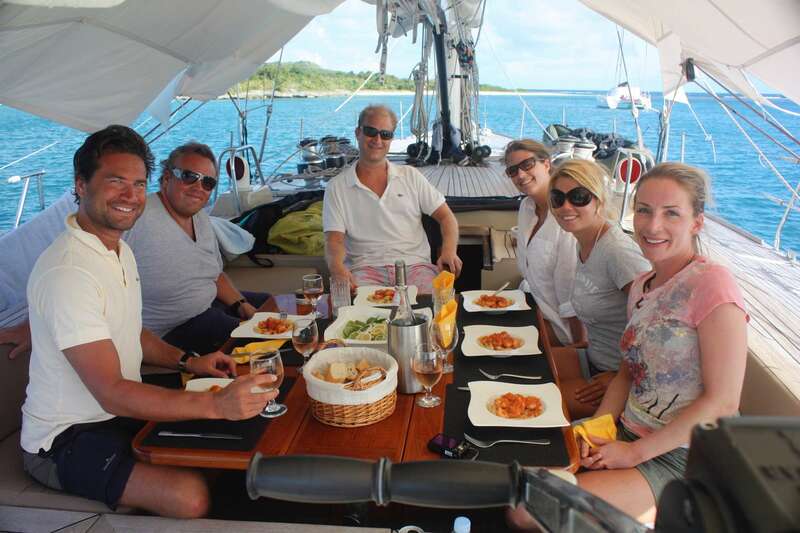 Mark also took 2nd place at the Antigua Charter Yacht Show Concourse du Chef. Mark has worked on road shows with some of the most renowned celebrity chefs. His style is tinged with global influences, but mixes Southern Mediterranean light cooking with classic cuisine and an intimate knowledge of qualify fresh local ingredients. 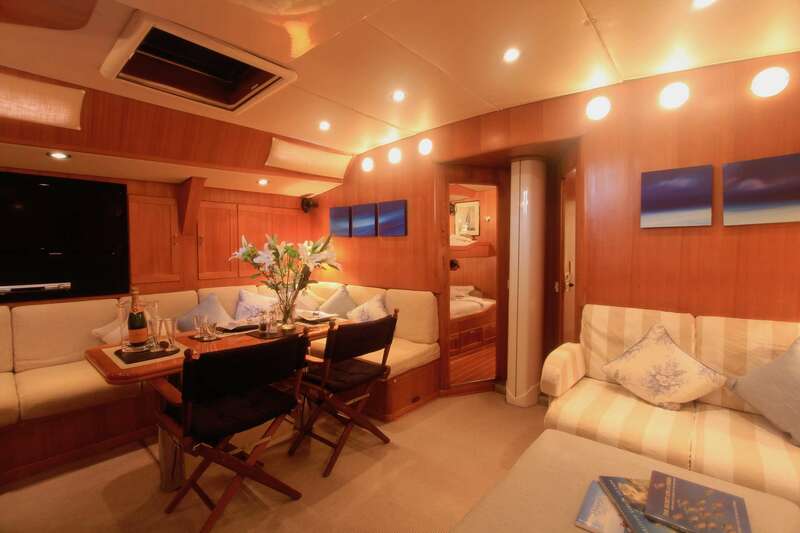 The saloon incorporates a 32' large flat screen tv with dvd & an Ipod docking station which you can listen to above and below decks. The Master Suite boasts a full width Stateroom with 2 double berths & ensuite (ensuite head size 50" wide x 37" long x 6'6" high) with a separate vanity wash basin in the Stateroom. The master suite is suitable for 2 adults only. 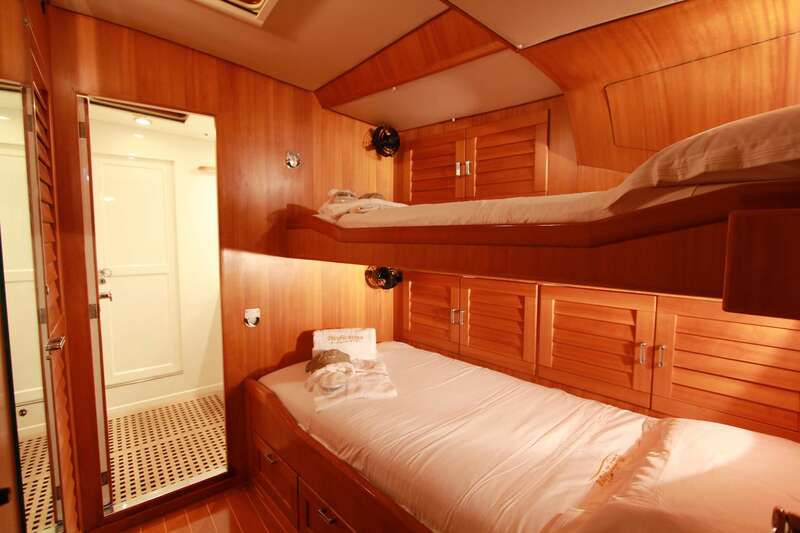 The Guest Suite has twin upper/lower berths & the cabin is ensuite (ensuite head sizes 60" wide x 50" long x 6'6" high). All guest toilets are Tecma electric fresh water flush (so NO hand pumping and NO bad smells). PACIFIC WAVE is fully air conditioned throughout. 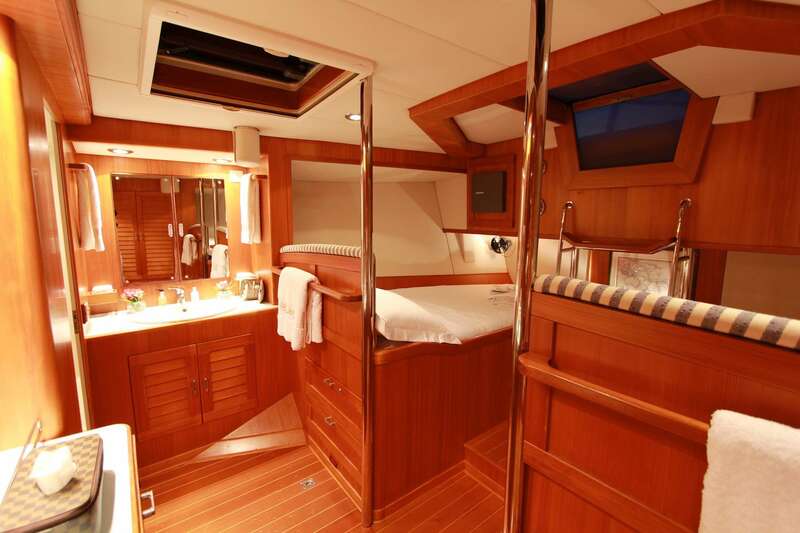 The Crew have separate companionway/access & separate shower and toilet facilities. No expense is spared to ensure that Pacific Wave's guests enjoy a luxury vacation with annually renewed luxury Egyptian cotton bed lines, towels & robes, and Molton Brown toiletries.